Newspaper ink, dampening water, etc. Offset ink (sheet-fed ink and web offset ink), varnish coating, dampening water, etc. Ink and varnish for corrugated boxes, paper containers, paper bags, etc. Flexo ink for flexible packaging, Gravure ink (solvent-based and water-based), etc. 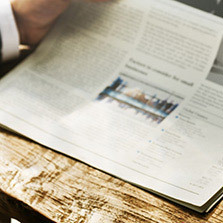 With the ink business being our core business, we have also expanded to business fields other than printing ink by applying printing ink's development and production technology. 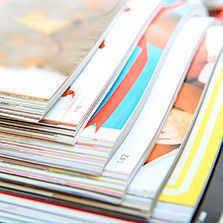 With the remarkable development of digital printing technology, the market is rapidly expanding. High quality and function inkjet ink and toner are essentional for the development and growth. SAKATA INX regards this field as one of the important business pillars by stromgly supporting this business. Liquid crystal panels are used in many electornic devices such as television, smartphone, etc. Color filters and pigment dispersions used on liquid crystal panels play indispensable roles. Various functions are added such as gloss, water-proof, moisture prevention, oil resistance, anti-slipping, gas barrier, etc. 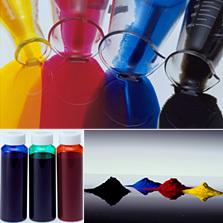 Powder toners, inkjet ink, pigment dispersions for color filters, etc.